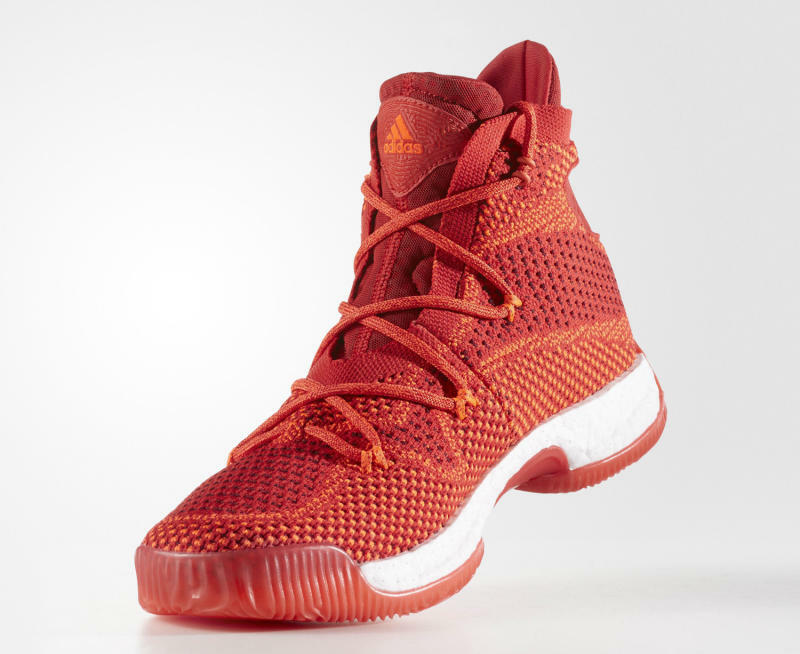 Another pair of the adidas Crazy Explosive Primeknit leaks. Social media savagery isn't going to stop this sneaker from hitting shelves. 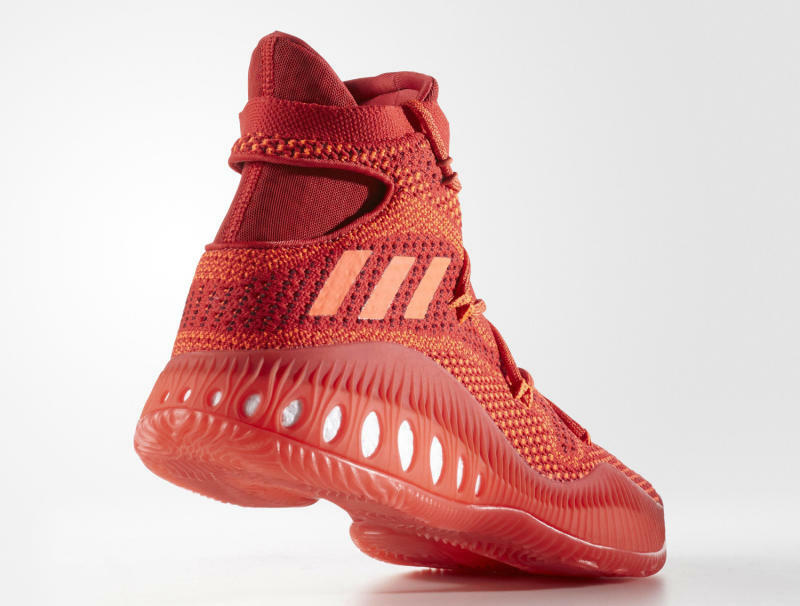 While the Andrew Wiggins version of the adidas Crazy Explosive Primeknit was widely derided on Twitter in June, adidas is moving right ahead with bringing the silhouette to retail for summer. 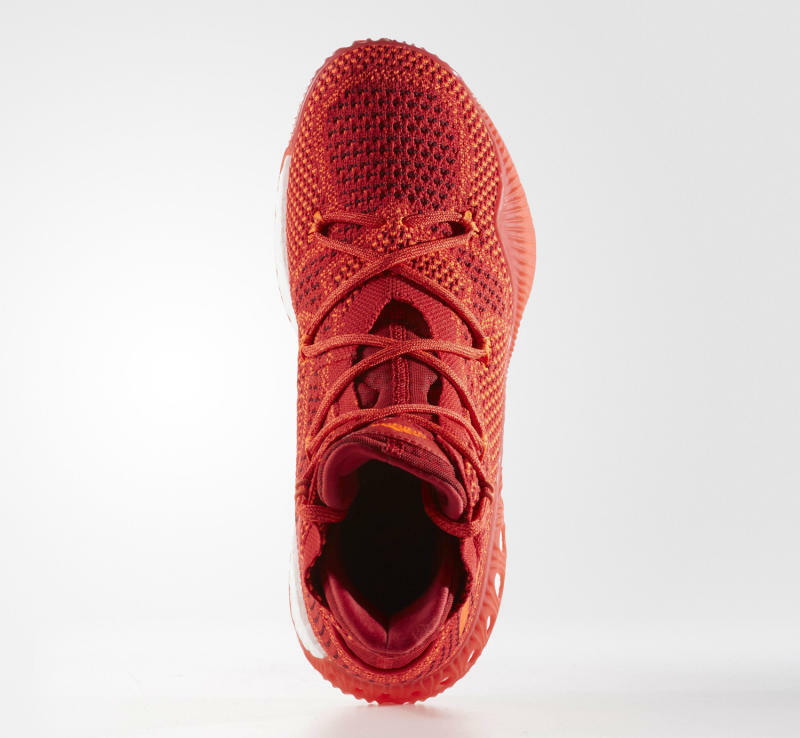 One of the first-up colorways looks to be this one, which uses a tonal red application on the Primeknit upper. 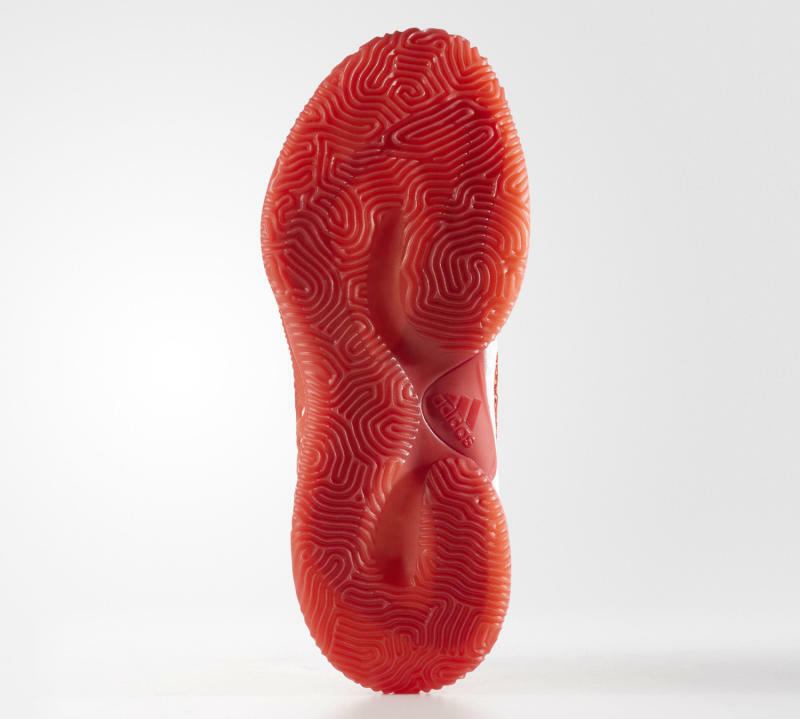 This design has full-length Boost cushioning, although it's concealed to some extent by the midsole treatment. Word has it this new adidas Basketball shoe will be releasing in early August.